Approximate square footage of your home or office? How many bedroom / bathrooms do you have? Number of stories in your home? How often do you need your house, carpet or windows cleaned? Fill out the short form to receiving pricing from local cleaning companies who can service your cleaning job. Short term, long term or any other type of cleaning project. 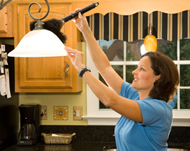 Our cleaning companies have been prescreened by a third party.